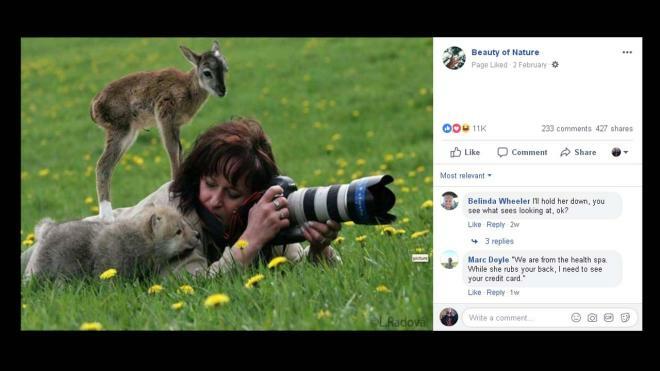 These wonderful men and women use a camera instead of a gun to shoot wildlife. There's also the odd animal lining up a shot with a human's camera. 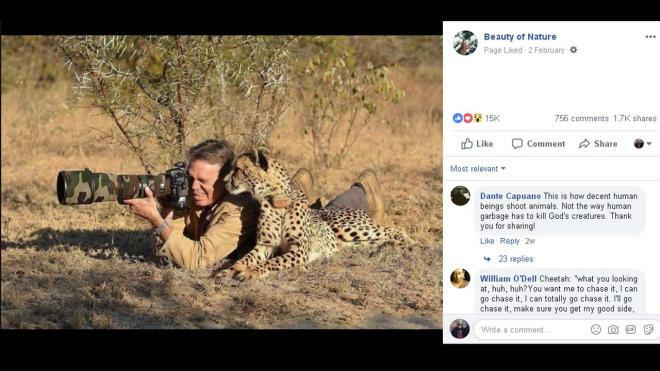 Normally you would see a smiling idiot, posing with a dead cheetah carcass. This image shows how it should be. Does anyone else think this man looks like a young McGyver? 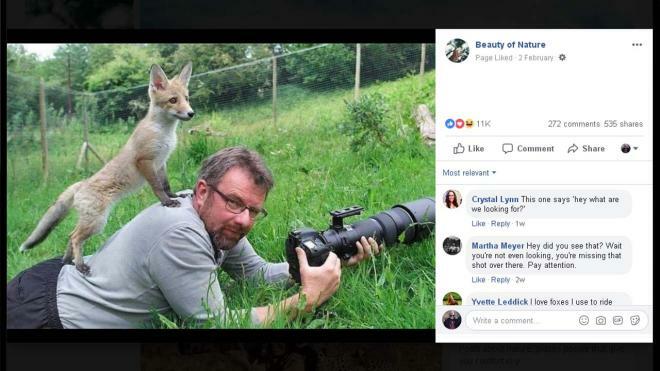 The photographer is asking how on earth he can get a good shot of the fox if it insists on standing on his back? Excuse me, but did you see where the little deer went? I was hoping to get a good photo of him.